This week I’ve mostly been thinking about Peter Pan. Ever since I sat less than two miles away from Kensington Gardens (where J.M. Barrie first introduced this mischievous character to Wendy in her pretty nightie), I have been reliving the magical story of the boy who could fly. 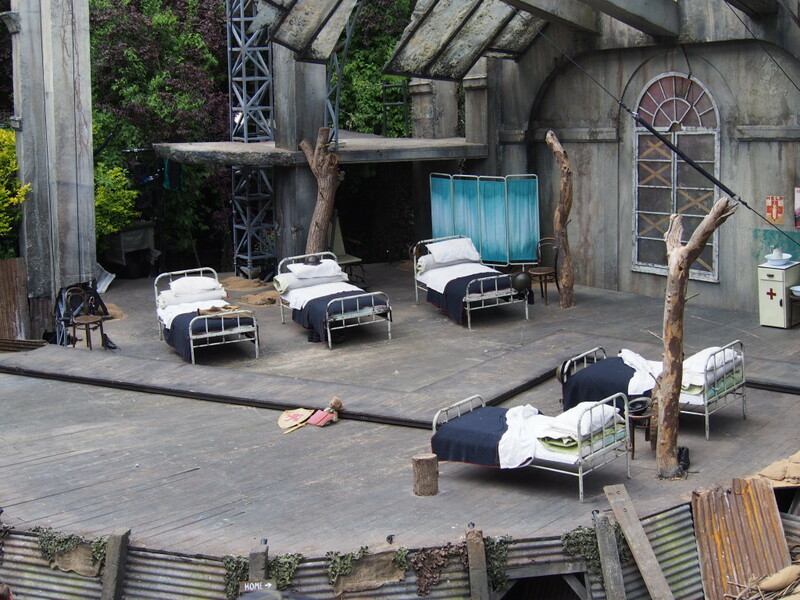 Seen through the eyes of dramatically creative directors, Timothy Sheader and Liam Steel, the Regent’s Park Open Air Theatre‘s vision is nothing short of mesmerizing. Of course, the story is one which we all know only too well; Never Land, the Lost Boys and a mystical escape from the Darling household. And, even though I’ve always been a firm believer in fairies, dreamland and even the odd pirate, I have never felt the need to drill down any further than the familiar all’s well that ends well fairy tale. Perhaps prompted by the recent shocking James Rhodes headlines, I have done a little extra curricular reading into Barrie and his Scottish childhood. And my naïve head has been turned as the ‘boy who never grew up’ has taken on disturbing significance. James Matthew Barrie, it transpires, identified strongly with children in a way that these days would certainly rouse suspicion. On top of this hideous thought, I discovered that Barrie’s older brother was killed in a skating accident aged only 13. Attempting to copy the mannerisms and manners of his lost brother, Barrie had tried his best to comfort his grieving mother and – in a similar way to Michael Jackson – he went on to show all the signs of someone who had lost their childhood. Of course, Pan was never allowed to leave boyhood as this was where his brother life had cruelly been cut short. But curiously this wasn’t the part that most disturbed me. What hit me hard was the level of powerful adult regret and longing not to grow up. For Peter Pan, growing up is some kind of death sentence. However death isn’t the only negative theme in this world famous book. The terror of forgetting and being forgotten is highly prominent too. And that is where the dagger digs deepest, for me. As these are questions I often become fixated with: who are we when we are gone? how will we be happy to be remembered? or will we simply be one of those lost boys? This column first appeared in The Lady where I am their Mum About Town. I so wish I’d seen this. Next time, I guess.